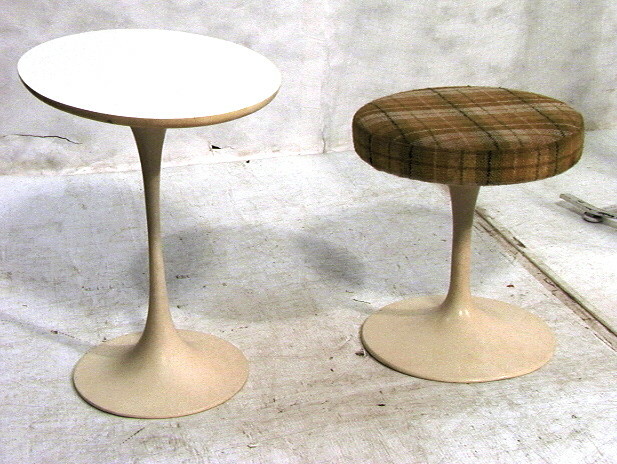 2 PCS SAARINEN Style Tulip Form Furniture. Low Stool with Upholstered Plaid Seat. Oval White Formica Side Table. Both Unmarked. Condition: Stains to upholstery. Bases need to be cleaned.